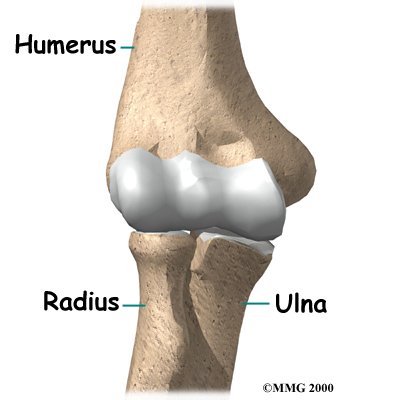 Welcome to Grapevine Physical Therapy & Sports Medicine's patient resource about Artificial Joint Replacement. 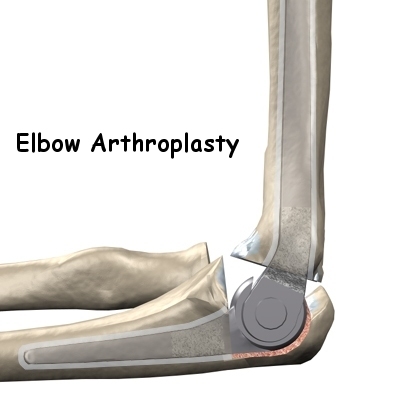 There are two different ways to hold the artificial elbow in place. 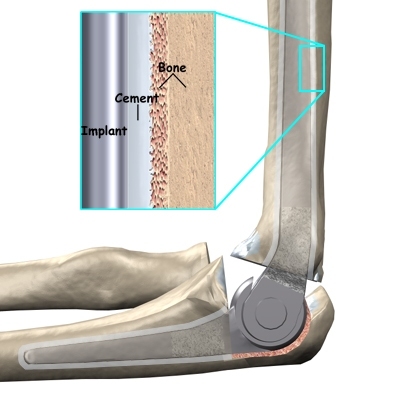 A cemented prothesis uses a special type of epoxy cement to glue it to the bone. 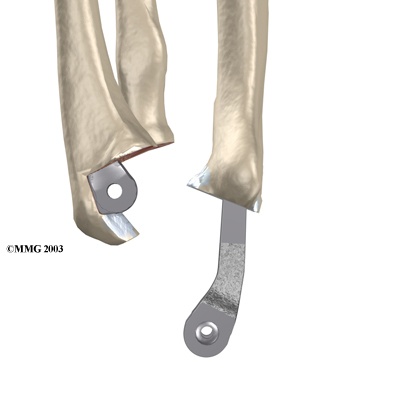 The uncemented prosthesis has a fine mesh of holes on the surface. 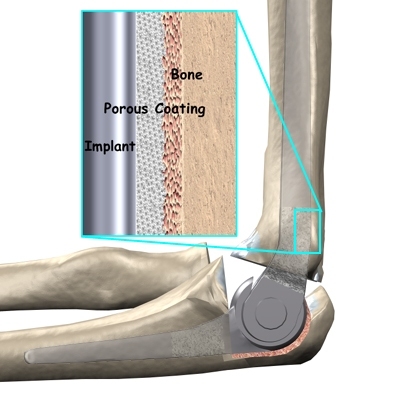 Over time, the bone grows into the mesh, anchoring the prosthesis to the bone. 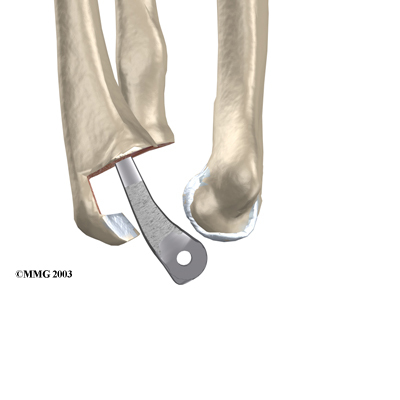 X-rays will be taken several times after your surgery to make sure that the artificial joint has not moved out of place and that the fusion between the fibula and the tibia is forming. When the uncemented type of implant is used, X-rays also help determine whether bone is attaching to the metal implant. The Physical Therapist and occupational therapists at Grapevine Physical Therapy & Sports Medicine will develop a personalized plan for your rehabilitation that can help you more quickly return to your normal activities. 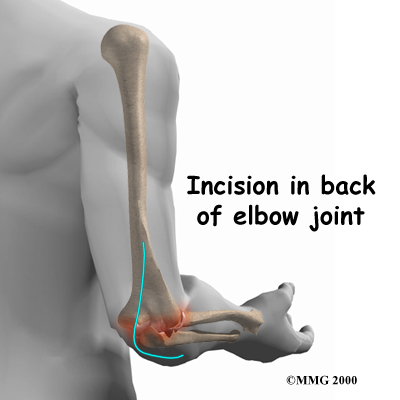 Although the time required for recovery varies among patients, as a general rule, rehabilitation takes up to three months after elbow replacement surgery. Your first few Physical Therapy treatments at Grapevine Physical Therapy & Sports Medicine will focus on controlling the pain and swelling from surgery. Our Physical Therapist may use heat treatments, gentle massage and other types of hands-on procedures to ease muscle spasm and pain. You will then begin gentle range-of-motion exercises. 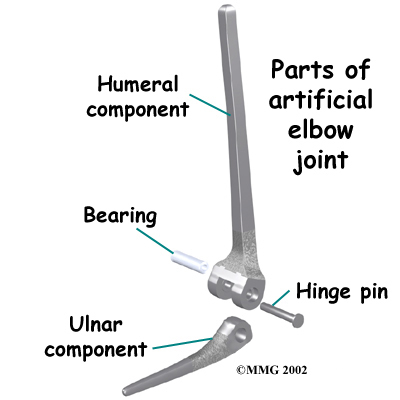 We will also recommend strengthening exercises to give added stability around the elbow joint. You'll learn ways to lift and carry items in order to do your tasks safely and with the least amount of stress on your elbow joint. As with any surgery, you need to avoid doing too much, too quickly. Some of the exercises we'll have you do are designed get your elbow working in ways that are similar to your work tasks and daily activities. Our Physical Therapist will help you find ways to do your tasks that don't put too much stress on your new elbow joint. Before your sessions at Grapevine Physical Therapy & Sports Medicine end, our Physical Therapist will teach you a number of ways to avoid future problems. At Grapevine Physical Therapy & Sports Medicine, our goal is to help you keep your pain under control, improve your strength and range of motion, and maximize the use of your elbow. When your recovery is well under way, your regular visits to our office will end. Although we will continue to be a resource, you will be in charge of doing exercises as part of an ongoing home program.